“The best way to save a building is to find a new use for it” says English Heritage. This is certainly true in the case of Medina House. 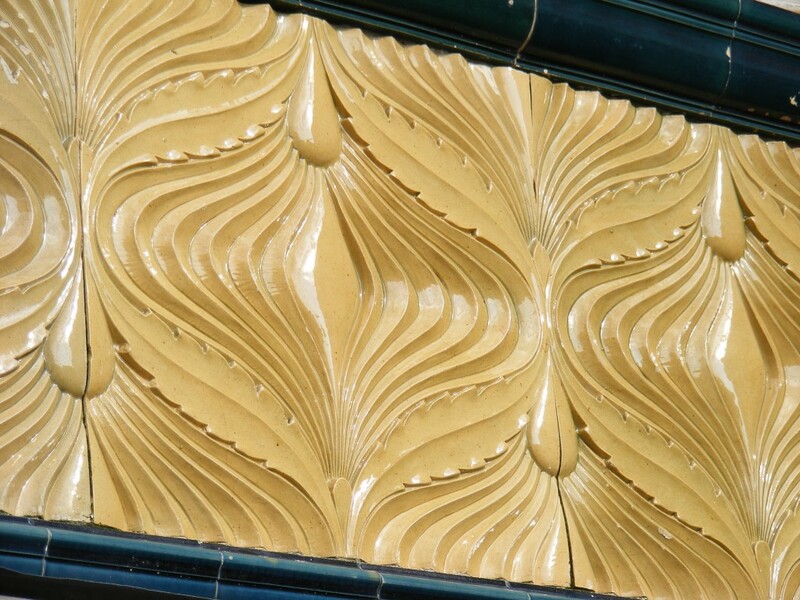 The Medina Baths were built in 1893-4 to the designs of P. B. Chambers by the Hove Bath & Laundry Company and occupied two buildings on King’s Esplanade flanking Sussex Road. The much larger plot on the west side was home to a 93ft pool for men and laundry rooms. It is now home to Bath Court, a modern block of flats. Medina House on the east side, once home to a 65ft women’s pool, still exists. Once the baths had closed, and the King Alfred was firmly established as the swimming pool for Hove, Medina House was leased to Monnickendam Diamonds. This convenient arrangement lasted from the 1940s until 1994. Once vacated, the building’s deterioration was rapid. The current owner, Sirus Taghan, actually gained permission to replace Medina House with two houses and three flats in 1999. Since then, schemes for towers of 18, 16 and 9 storeys were refused in 2002, 2008 and 2009 respectively. I would like to see the building converted into a restaurant or luxury spa. A seemingly derelict car park alongsside Medina House, which is actually an important space due to the remains of its astonishing Royal Doulton tiles and its history as Turkish baths, is currently surrounded by hoardings. Whilst walking past during a particularly windy evening earlier this year, I stopped to re-fix one of the panels which had blown off. In order to ensure that nobody would be trapped inside, I ventured into the building’s open side door. It struck me straight away just how dark the building was inside. I needed my largest Maglite to see where I was going. In terms of surviving features, an attractive white, turquoise and orange terrazzo floor and a wide wooden staircase leading upstairs were particularly eye-catching. An array of safes was presumably used by Monnickendam for cash and diamonds. I can’t explain though the wall upstairs that has been decorated with discarded computed motherboards and another with serial-killer-style newspaper cut-outs. 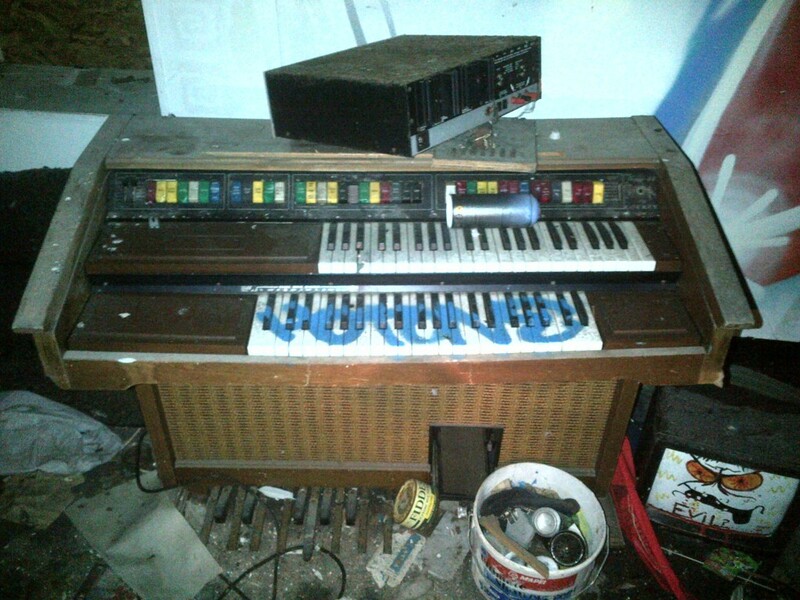 A graffitied electric organ was a bit of a shock too. A quite predictable fire on 13th May has prompted a tightening of security at Medina House but it is too little, too late, really. So many features are now either rotting, missing or destroyed.